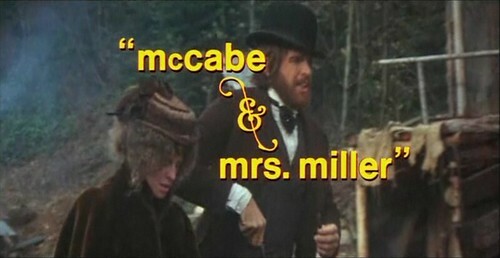 McCabe & Mrs. Miller, released in 1971, was one of Robert Altman’s earliest feature films (after M*A*S*H*, That Cold Day in the Park, and Brewster McCloud). It’s largely considered the first Hollywood film shot in Vancouver, though Altman had already shot That Cold Day in the Park here in 1969 on a lower budget. McCabe is set in 1899 in a fictional town called Presbyterian Church, where an entrepreneur played by Warren Beatty teams up with a brothel madam played by Julie Christie. McCabe begins to do well but misjudges his ability to compete with—let alone survive—the corporate thuggery of certain business interests who want a monopoly over hotels, land and resources in Presbyterian Church and the surrounding Pacific Northwest region. I had always admired this film but became more aware of it after learning that the crew who built the town in the film also worked on the site for Habitat Forum. This was a 1976 United Nations Vancouver event about which I’m writing a book. 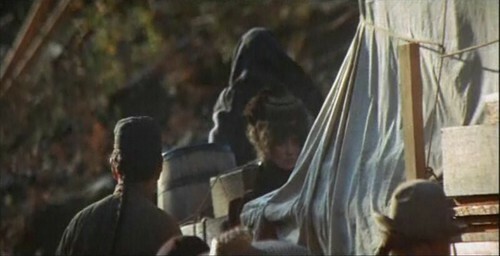 I was asking my friend Mark Osburn about the pioneer fashions of the Habitat crew, including their moustaches, and he just said, among other things, ‘McCabe & Mrs. Miller.’ The carpenters who had worked on the film picked up old-style woodworking methods there as well as a certain 1899 aesthetics. For the film they had actually constructed functional buildings and Altman made the rare move of shooting the film in chronological order in these buildings. 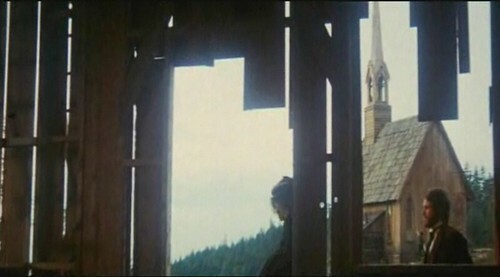 It’s a far more difficult shooting method, but provides the film with a more convincing sense of the town’s development. 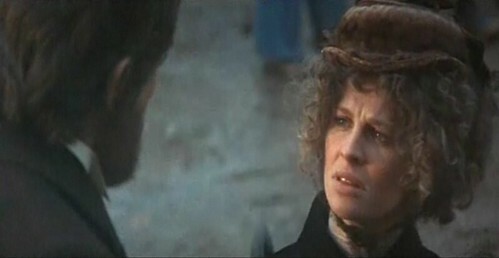 McCabe & Mrs. Miller is a brilliant film. An anti-Western, it’s also a study of the violence of big business in early North American settlements, and in many ways still an accurate portrait of Vancouver’s politics and culture, right down to the aggression of resource extraction, the drugs and the oblivion. More on this, as well as a comparison with Deadwood, is at Vancouver Review. The music for the film was largely by Leonard Cohen. Altman had liked Cohen’s debut album immensely, buying additional copies of it after wearing each one out. Then he had forgotten about the LP. Years later he visited Paris, just after finishing shooting on McCabe & Mrs. Miller, and rediscovered the album; he had it transferred and started the music to maintain a rhythm for the film. He didn’t expect to be able to procure rights for the music since it was a Warner Brothers film and Cohen’s album was released through Columbia Records. However, he called Cohen, expecting to trade off his recent success with M*A*S*H, but found that Cohen had no knowledge of the film. 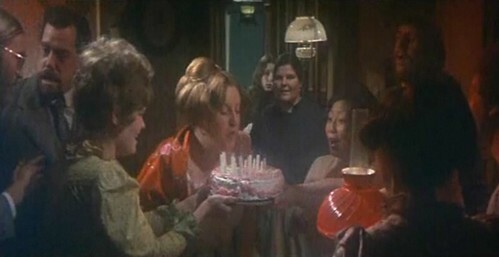 Instead, he had loved Altman’s less popular follow-up film “Brewster McCloud”, and arranged for his record company to license the music cheaply, even writing into the contract that sales of that album after the release of “McCabe” would turn some of the royalties to Altman (an arrangement which at the time was quite unusual). Later, on watching “McCabe” to come up with a guitar riff for one scene, Cohen decided he didn’t like the film, but honored his contract. A year later he called Altman to apologize, saying he had seen the film again and loved it. A certain number of the construction crewmen and actors were American draft resisters, and many of the others actors were untrained Vancouverites. For example the voluptuous prostitute below in blue at centre rear was played by Jackie Crossland, a Vancouver artist and activist. This entry was posted on Saturday, December 3rd, 2011 at 7:33 pm	and is filed under architect, architecture, British Columbia, Canadian design, cities, favourite, politics, urban planning, Vancouver, video. You can follow any responses to this entry through the RSS 2.0 feed. You can leave a response, or trackback from your own site.